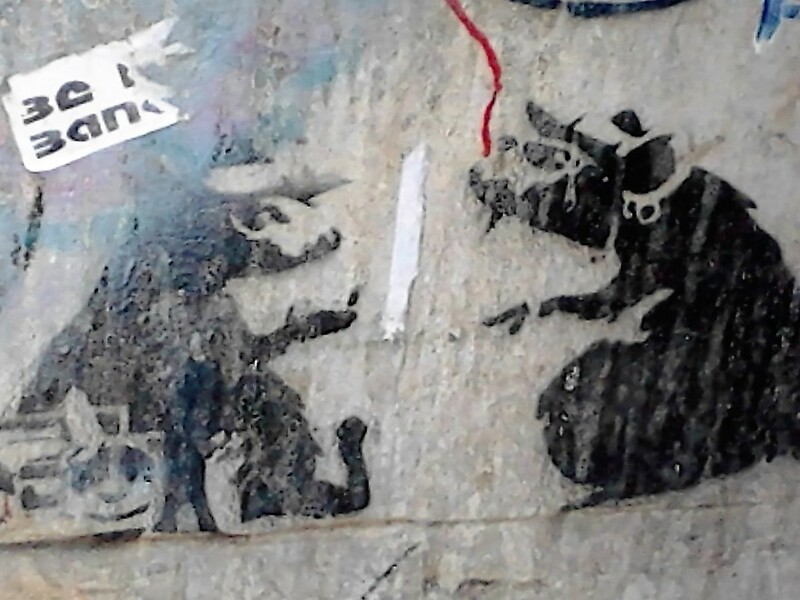 Australia’s largest remaining group of Banksy street art stencils was recently destroyed. 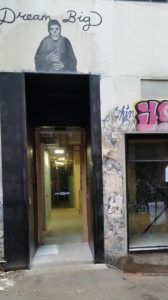 A new doorway in ACDC lane displaced iconic works even though their location was known to the Melbourne arts community. 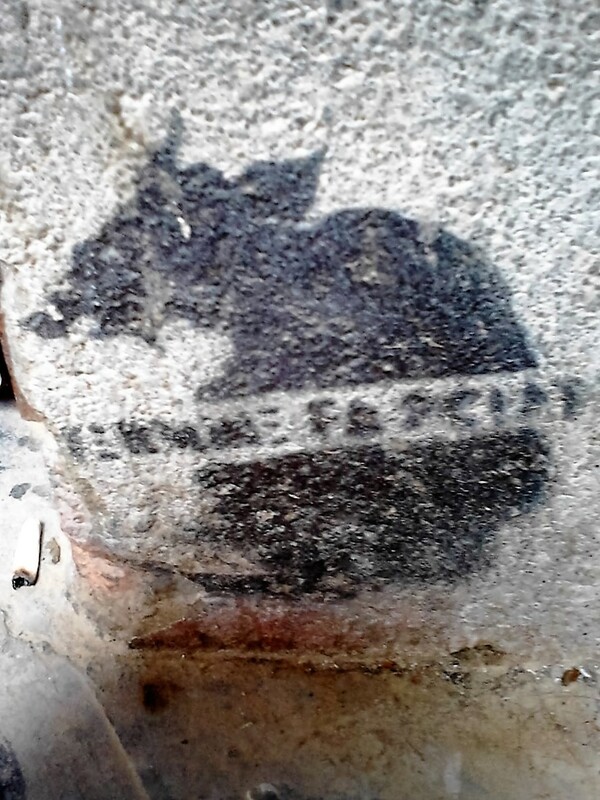 Two Banksy stencils two metres away were previously destroyed in 2014. Five Banksy in three years. 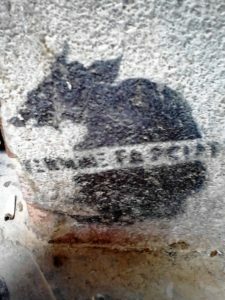 Why protect a foreign millionaire graffiti artist’s works, even if he is a genius, given his view that graffiti is impermanent? Why shield it or remove it to a gallery? Well if you are going to destroy historic artworks worth possibly hundreds of thousands of dollars and chuck it in the bin, you might as well remove it for future generations to enjoy. What a self-evident exercise in ignorance and stupidity. The Council issues permits to punch construction holes in heritage walls without examining the walls while promoting these lanes as a street art mecca. History is about the context of events. And some events form part of our collective heritage and national estate. Banksy is enormously influential in the rise of the most radical art movement of the 21st century. 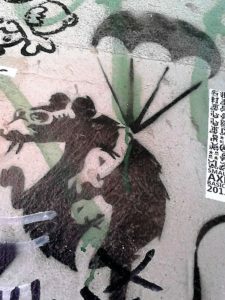 In 2003 Banksy and founding Melbourne street artists painted in ACDC Lane. That was a significant event in the evolution of Melbourne as a world street art capital. The Aussies’ work has been destroyed as well. These Australian and Banksy stencil images were history in the making – perhaps as seminal to the modern street art movement in Australia as the Aboriginal paintings destroyed on the Papunya school wall in 1973. The art establishment was slow to understand contemporary Indigenous art and now is failing to understand why we need to protect significant street art works for future generations. As the owner of one of Melbourne’s oldest walking tour companies I should have seen it coming. Since 1992 we have been fighting to promote the city’s heritage but the people are losing control over their own city. The fabulous old city that tells the Melbourne story, the city that locals and visitors come here to see, is diminishing every year. 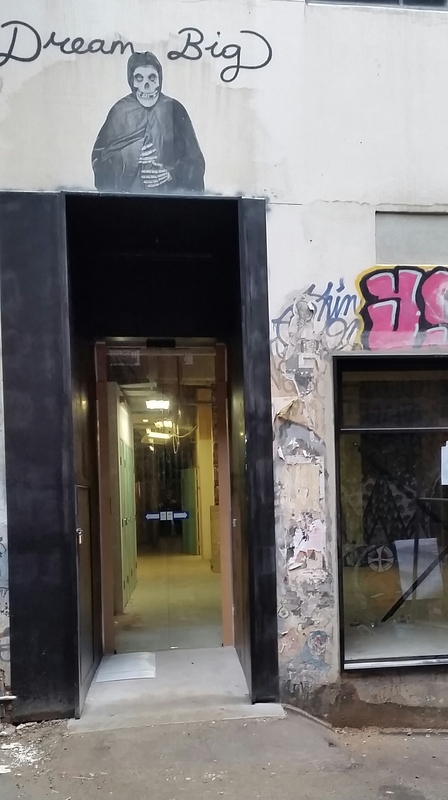 Melbourne people are getting fed up with the damage to under-protected laneways and buildings in our city because of antiquated heritage controls. Towers and more towers everywhere are shoving more people into an overcrowded city. The iconic Cherry Bar in ACDC Lane was forced to raise $100,000 for soundproofing after the heritage lane wall was destroyed for new apartments whose new tenants complained about the noise. Have you ever heard of a city that destroys its pioneer founders for money? The city council proposes to sell our Crown land containing graves for more towers in the Franklin Street site of the Queen Victoria Market. What rational city allows an a beautiful 1868 building to be demolished for yet another tower? That is the plan for 1868 Burtons carriage house at 50 La Trobe Street. Six generations of the Melbourne story for another Goliath. Only public pressure will change this careless planning mindset. Share this post and protect our heritage lanes. Join Melbourne Heritage Action fighting (National Trust) to protect our heritage – its free. Writer and historian Meyer Eidelson is the owner of Melbournewalks.com which runs over 100 heritage walking tours in Melbourne including street art and graffiti tours. EXPLORE Melbourne’s famous street art and graffiti in the city’s labyrinth of lanes. Don’t miss seeing one of the most exciting and radical art movements in the world. It is happening right NOW! As Banksy said: ‘Australia’s most significant contribution to the arts since they stole the Aborigine’s pencils’. VIEW the stencils, paintings, paste-ups, structures, light boxes, installations and mosaics by some of the world’s best artists. LEARN the difference between street artist, street writers, graffiti and how the ‘permit lanes’ system work. DISCOVER the history and architecture of the painted industrial walls, buildings and lanes. EXPERIENCE the maze of back lanes where Melbournians celebrate their artists, cafes, music, bars, rooftops and coffee culture in the Old City . MAPS are provided to each participant of the street art locations so that you can return with friends and family.